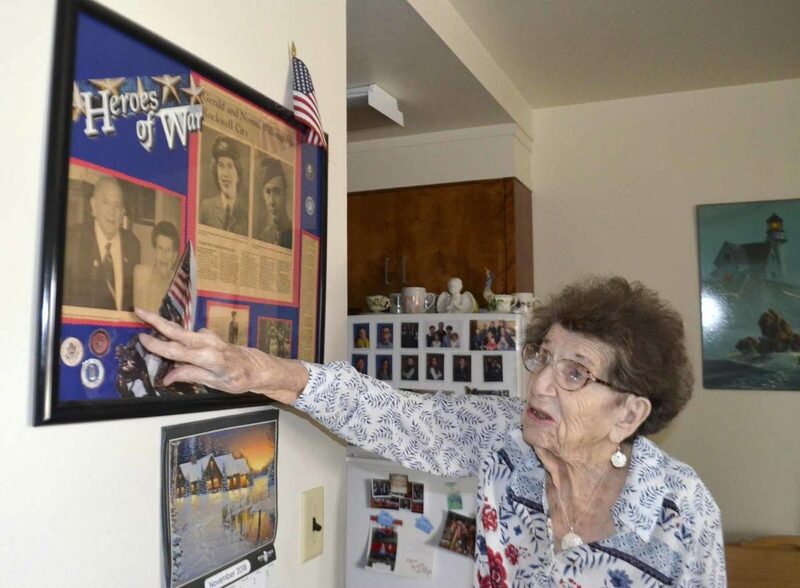 Norma Willoughby points to a photo of herself and her late husband, Gerald Willoughby, which hangs in her apartment in Rockwell City. Willoughby served in the Royal Air Force in England during World War II from 1942-1945. 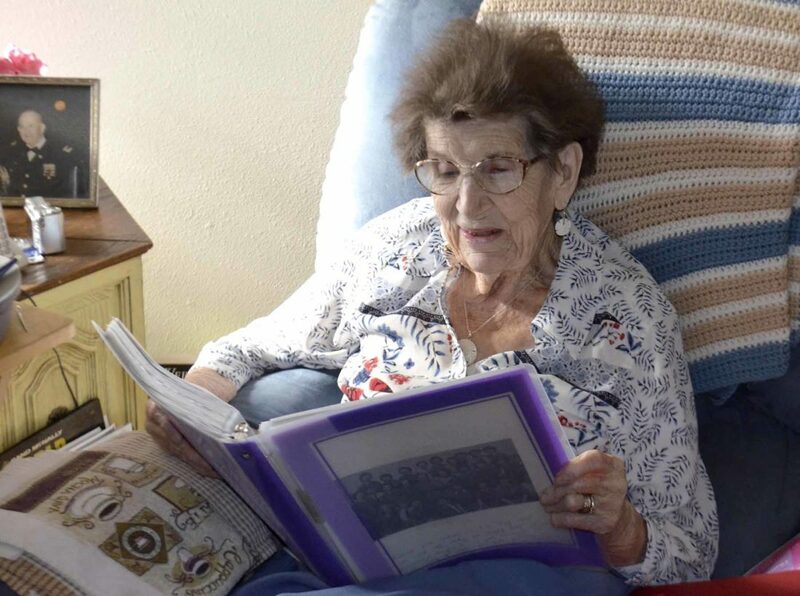 Norma Willoughby, of Rockwell City, looks through a book that she wrote about her family and her time serving in the Royal Air Force in England. Willoughby spent three years, 1942-1945, working with radar. 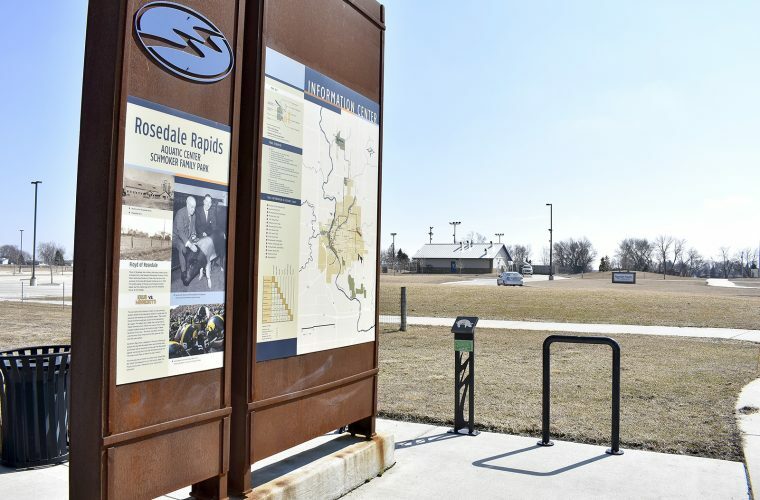 ROCKWELL CITY — Norma Willoughby recently sat down in her Rockwell City apartment, looking through old photos of her time in the armed services. But Willoughby’s service wasn’t in the American military; it was in the Royal Air Force of Great Britain. Willoughby, who is originally from London, England, served in the Women’s Auxiliary Air Force, which was the female auxliary of the RAF. And at 96 years old, Willoughby still has vivid memories of her time in the service, which lasted from November 1942 to November 1945. “These are a long time ago, because I’m 96,” Willoughby said. “But I have the memory of a 30- or 40-year-old,” she said, adding that she can even remember vivid memories from her own childhood. In 1941, Willoughby was 20 years old and working for the British government when she met a man who would later become her husband; Gerald Willoughby. She said her husband, who passed away 10 years ago, was in the U.S. Army and stationed in London during World War II. 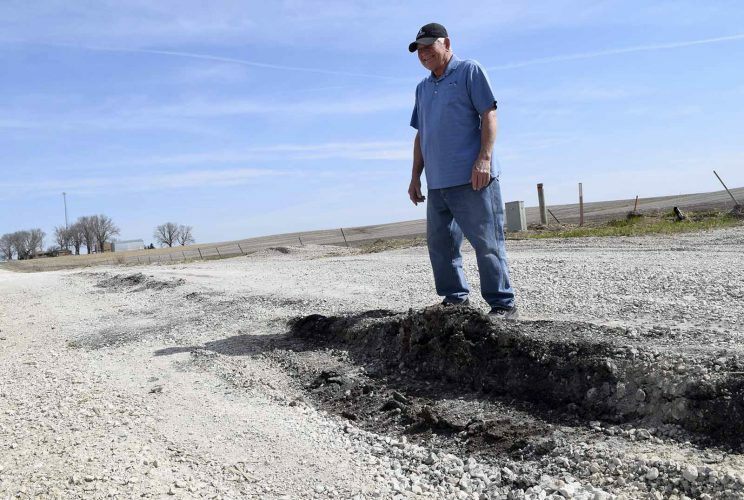 He was originally from Rockwell City. “He came to this dance and he was an American soldier, and he asked me to teach him how to dance,” Willoughby said, who added that her future husband fell in love with her at first sight. When he was transferred to north Africa, Willoughby said she was so upset because she had developed romantic feelings for him. At that point, she decided that she wanted to join the Royal Air Force, but admits her reasoning for joining seems a bit strange today. “And my idea was — and this sounds foolish now — but I thought, if I join the Air Force, then I’m going to relieve a serviceman, and then he can go and actually do the fighting because I was in the control room,” Willoughby said. When she decided to join the RAF, she admitted that her parents weren’t too happy to hear about it. She said her parents wanted her to stay at home, but she knew she had to leave for her training. In November 1942, Willoughby went to northwest England. She still remembers how uncomfortable it got when she and the other women were told to march. They were required to wear stockings — black stockings in winter, and gray stockings in the summer. They would track German planes that were coming in to bomb London. Willoughby said her own home was actually bombed during the war. She described what it was like when a German plane showed up on radar. A man would be on the phone, and the controller would report whether it was a German plane or not. They would have to scramble the pilots if it was a German. Willoughby said they had their own language. During her service, she and Gerald Willoughby ended up marrying after he was granted leave while stationed in Italy. Norma Willoughby served in the RAF until November 1945. She worked there until April 1946, when she moved to America. Eventually she and her husband had children and settled in the states. Willoughby eventually became a naturalized United States citizen. Gerald Willoughby passed away 10 years ago, and since then, Norma Willoughby has lived in her own apartment at Sunnyview Independent Living, in Rockwell City. Willoughby is proud of her service, and has even written a book called “Count Your Blessings,” which details her family’s history. And in 2015, Willoughby got to participate in the Brushy Creek Area Honor Flight, which takes veterans to Washington, D.C. for a full day to visit the monuments throughout the nation’s capital. “It’s something I will never forget,” she said. She ended up going thanks to a conversation her grandson, Paul Bloomquist, had with Ron Newsum, founder of the Brushy Creek Area Honor Flight. Bloomquist is the director of bands at Iowa Central Community College. He told Newsum that his grandmother was a veteran, but Willoughby said she didn’t think she’d be eligible, since she didn’t serve in the American armed forces. When Newsum heard this, Willougby said he told her she was eligible to go, and said he was going to have Bloomquist be her guardian, to accompany her on the flight. She looks back on her service, as well as her life with her late husband, fondly.